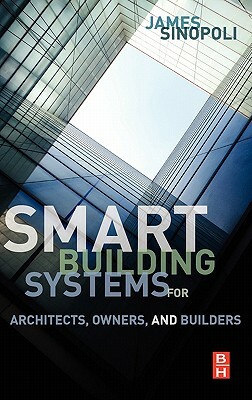 Smart Buildings Systems for Architects, Owners and Builders is a practical guide and resource for architects, builders, engineers, facility managers, developers, contractors, and design consultants. The book covers the costs and benefits of smart buildings, and the basic design foundations, technology systems, and management systems encompassed within a smart building. Unlike other resources, Smart Buildings is organized to provide an overview of each of the technology systems in a building, and to indicate where each of these systems is in their migration to and utilization of the standard underpinnings of a smart building. Written for any professional interested in designing or building smart Buildings systems, this book provides you with the fundamentals needed to select and utilize the most up to date technologies to serve your purpose. In this book, you'll find simple to follow illustrations and diagrams, detailed explanations of systems and how they work and their draw backs. Case studies are used to provide examples of systems and the common problems encountered during instillation. Some simple Repair and Trouble shooting tips are also included. After reading this book, builders, architects and owners will have a solid understanding of how these systems work which of these system is right for their project. Concise and easy to understand, the book will also provide a common language for ensure understanding across the board. Thereby, eliminating confusion and creating a common understanding among professionals.